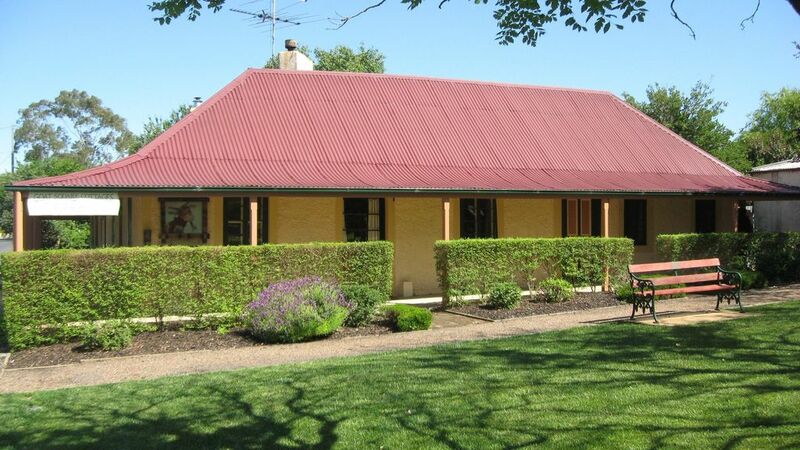 Experience the charm of these three 1860's self- contained heritage cottages nestled in historic Goat Square, centre of Tanunda only 400 metres from the main street. Your two bedroom cottage features a king size bed, a separate bedroom with a queen bed, modern bathroom with spa bath and underfloor heating & spacious lounge with wood fire. Regionally sourced provisions are left to prepare your own country style breakfasts. Enjoy an authentic regional food experience - free range eggs, the famous Schulz Butchers bacon, Jersey Fresh milk - with the cream on top - and Nippy's orange juice - fresh squeezed South Australian oranges! Relax in the intimate surroundings with thick stone walls, low ceilings, quality furnishings & lovely cottage gardens. Great for singles, couples or groups. A real Barossa heritage experience - with style. Right in the heritage heart of Tanunda (just down the street from the Visitor Centre) you are walking distance to three restaurants, two hotels, shopping and services. In the opposite direction there is the town park and nature reserve along the banks of the North Para River. The Barossa Cycling Hub is just down the street so bring your bikes and explore the new bikeway through the Barossa. Close to wineries (some within walking distance), restaurants, walking trails and nature reserves. Note - babies by prior arrangement (cot provided) and older kids welcome when using existing bedding. In Flaxman Cottage there are 2 bedrooms available, if you book for 2 people it is expected you are a couple sharing 1 bed. If extra beds are used extra charges apply. Please check before booking if you wish to use 2 beds for 2 people. Strict cancellation policies apply. Cancellations notified more than 28 days prior to the booking will incur a $50 (incl GST) cancellation fee. Cancellations notified 28 days or less and more than 14 days prior to arrival date may receive a partial refund once a booking of equal or greater value is secured. Cancellation 14 days or less prior to the arrival date will forfeit all monies paid. Any other changes to booking dates will incur a $50 amendment fee. No changes may be made less than 14 days prior to the arrival date.